My Imbolc: The Great Return Set was created to honor the fire of life within and the rebirth of the sun. Imbolc, an ancient Celtic festival celebrating the end of winter and approaching spring, falls on February 1. During Imbolc, we’ll dance with goddess Brigid, Keeper of the Sacred Flame! This is a time for purification, illumination, and deeply seeded inspiration. A time to let your passion build in support of all you wish to birth in the year ahead. We dim the lights, retreat, and rest in deep slumber during the winter months and Imbolc is the soulful wake-up call to create and shine. It’s finally time to set your soul free and live in the light again. It’s time to sweep away the dust. It’s time to awaken your gifts just as the flowers will soon awaken with the rays of the sun. The tools in this set will reignite your sensory gifts and clear the sweet sleep gently covering your Third Eye. 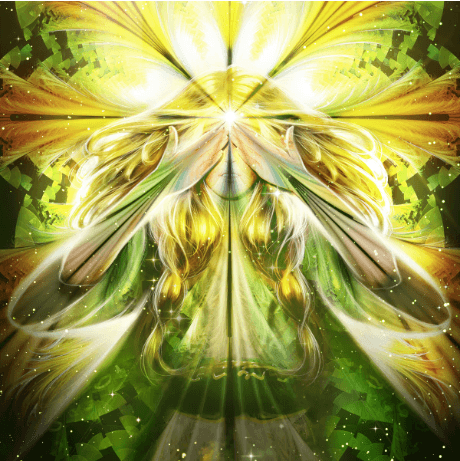 Imbolc is Brigid’s festival and she is known as Goddess of the Flame, the Sun Goddess, and Daughter of the Morning. She brings fiery inspiration, fertility, warmth, and creativity. It’s time to light the fire, pay reverence to the sun and Brigid, and dance in your flame of sacred intuition. 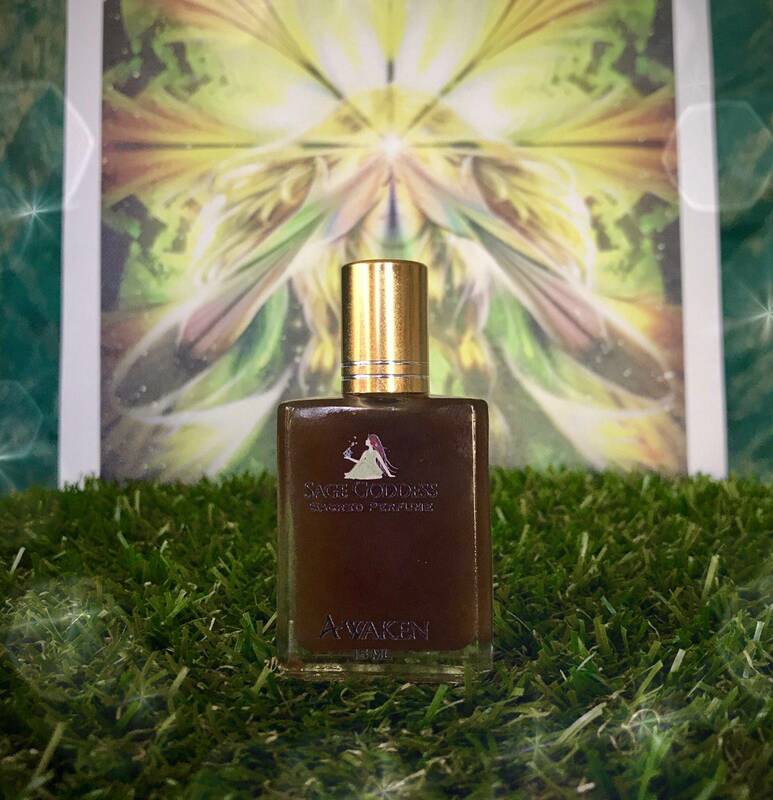 One (1) 15 ml bottle of Awaken Perfume blended with notes of cedarwood, bay laurel, and benzoin and infused with a clear quartz chip stone to further amplify its properties. Anoint yourself and your stones with Awaken to get your own fire going strong! 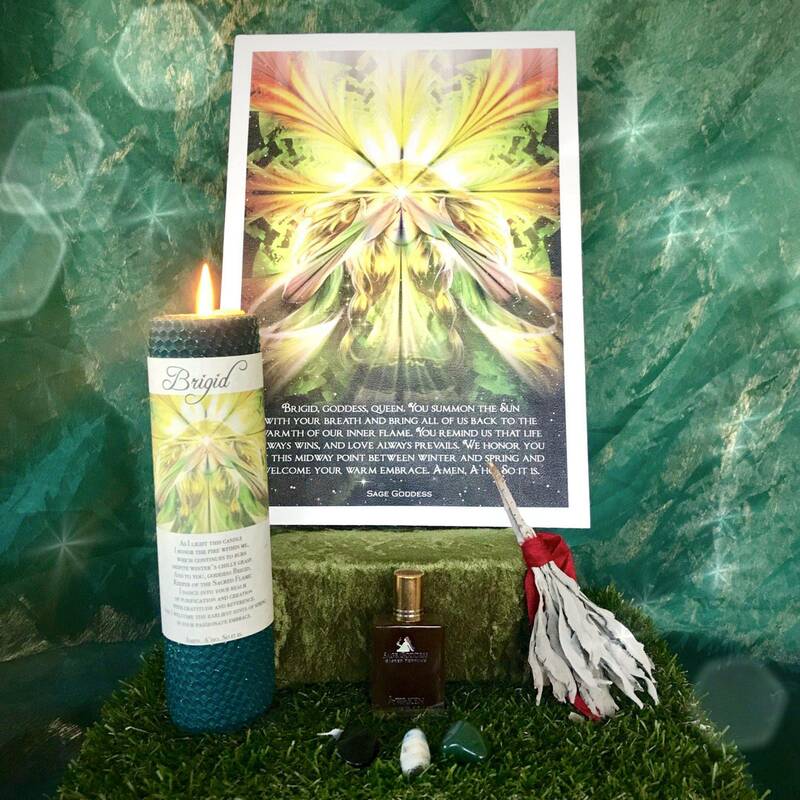 With cedarwood for protection, cleansing, and spiritual connection, bay laurel for success, manifestation, and vitality of the sun, and benzoin for prosperity, purification, and an open spirit, this blend is a bottled fire festival. 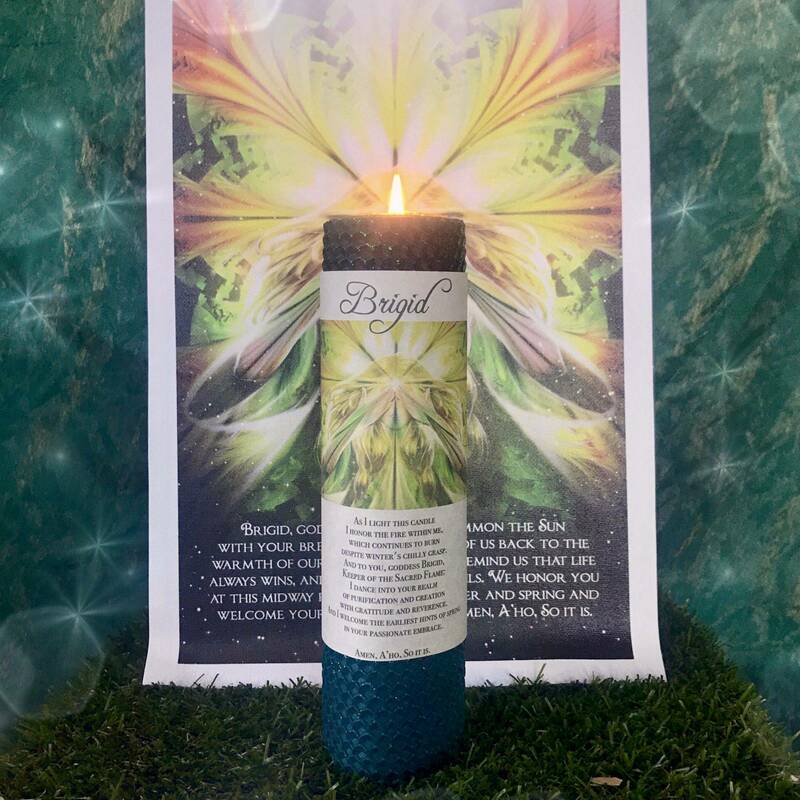 One (1) Brigid Rolled Intention Candle (about 8”) handmade with forest green and yellow natural beeswax, anointed with my Awaken Perfume, and featuring a beautiful custom-made SG artwork label. Light this candle as a reflection of your own sacred fire and set your intentions to manifest your heart’s desires. One (1) tumbled scheelite (about 0.5”), in honor of the Sun. Scheelite is a stone of freedom and expansion, helping you break free from constraints – perceived or real – so that you can fly. This gem holds the gifts of creative inspiration, astral travel, spiritual awakening, deepening of consciousness, and psychic development. One (1) tumbled shungite (about 0.75”), in honor of you. Shungite purifies energies and removes anything dark or negative in its path. This gem can even remove toxins and impurities from water! I use shungite in rooms where anyone is having nightmares or scary dreams, or in spaces where the energy feels heavy. Also if you are a Reiki practitioner, massage therapist, shaman, healer, or priestess, this is a critical stone to keep in your sacred space. Negative vibrations cannot sustain themselves in the presence of shungite. One (1) tumbled green aventurine (about 0.75-1″), in honor of Brigid. Green aventurine is the stone of prosperity, fertility, growth, and abundance. Having a tangible representation of gratitude will help you focus your attention to harness all the energy and properties this juicy stone carries. Gratitude is not so elusive when it becomes part of your routine. 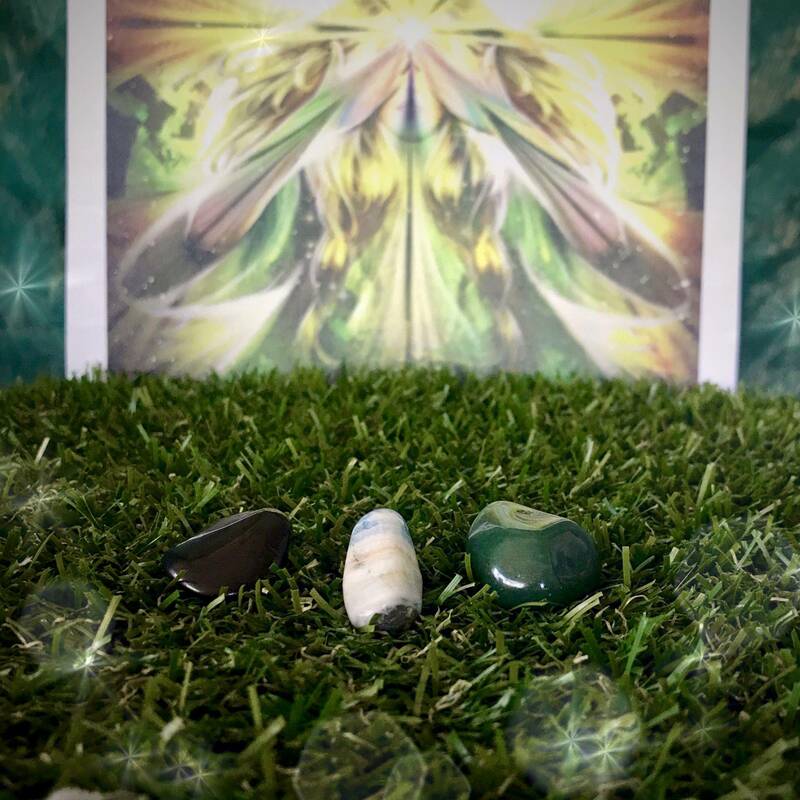 Green aventurine helps you remember that no matter what the day brings you, there is always something to be grateful for! One (1) white sage besom. The besom or broom is one of the symbols of Imbolc because it’s figuratively a time of sweeping out old patterns to usher in what is new, fresh, and productive. White sage purifies any negative or stuck vibrations in your space. 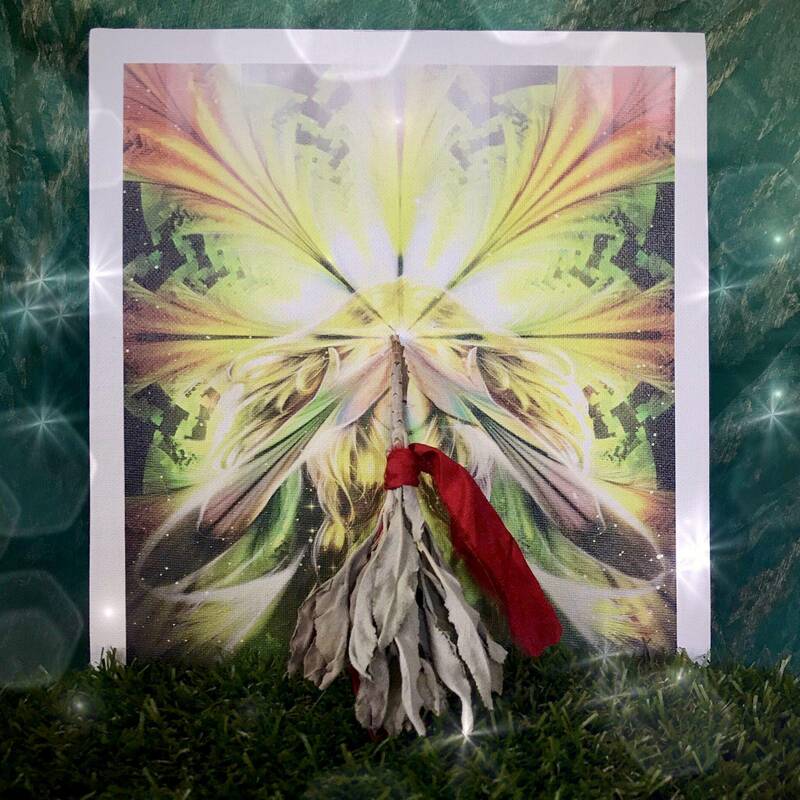 Sweep out what isn’t serving you with this white sage besom, and get ready to welcome the promise of spring with a spirit that is energized from winter rest. One (1) gorgeous piece of 4×12” SG canvas art. 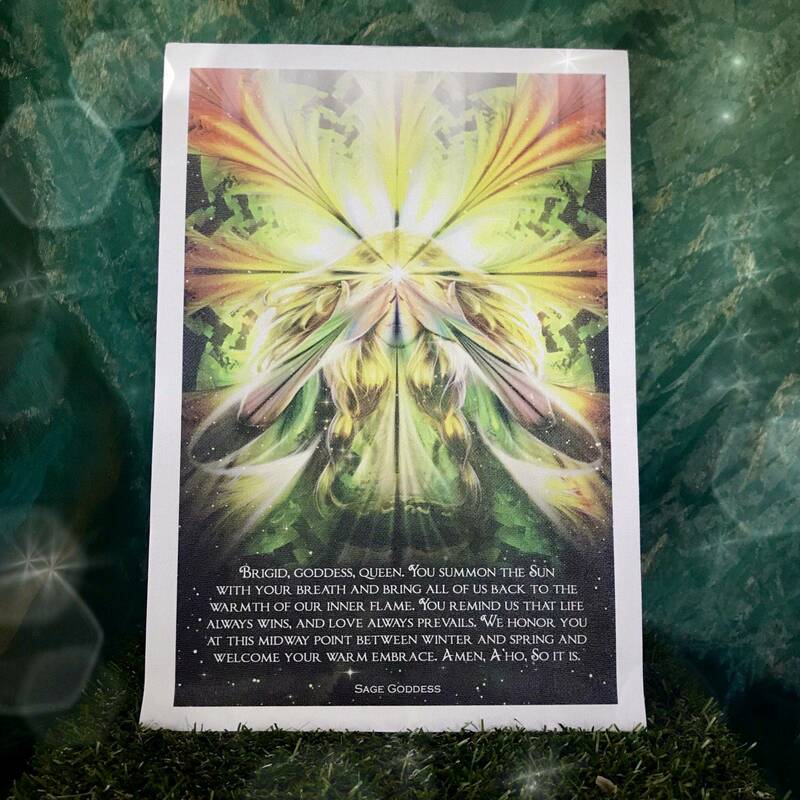 This canvas was designed right here at SG Headquarters, to help you invoke the passionate, life-giving energy of Imbolc and goddess Brigid in ceremony and in your own sacred space. This listing is for one (1) Imbolc: The Great Return Set, as described above. Yours will arrive lovingly parceled for your enjoyment along with a single leaf of white sage and a parchment describing the properties of the stones. Note: This perfume in this set is made with natural essential and carrier oils and may contain fragrance oils. Cap color, chip stone, and color may vary slightly. For external use only. Please remove candle label before burning candle, always use a heatproof dish on a stable surface, and never leave a burning candle unattended.